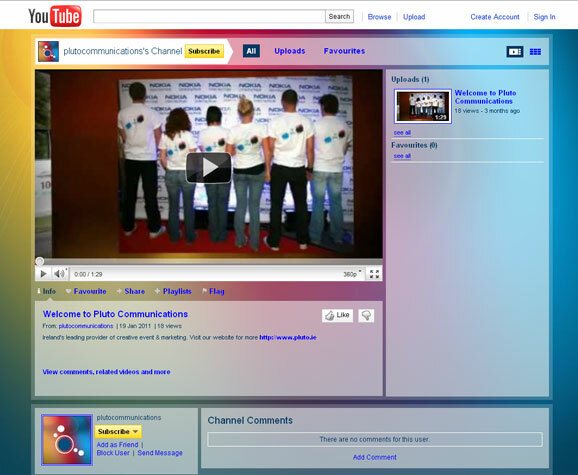 Pluto Communications new website recently went live. 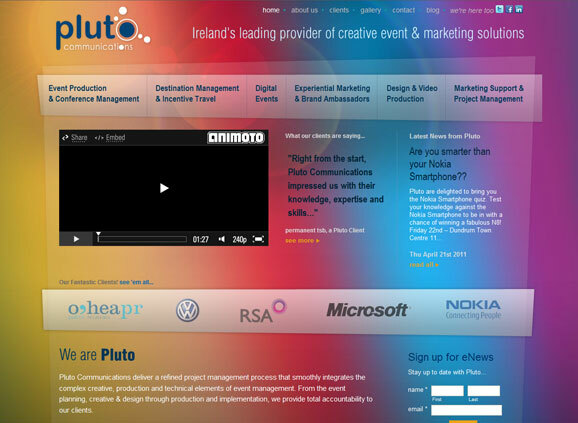 Pluto Communications are Ireland’s leading provider of creative event & marketing solutions, they cover everything from Event Production to Marketing Support and Project Management. The site is built on Wordpress and we absolutley love it, check it out for yourself! And while you’re at it, have a peek at their Youtube Channel, it’s great!